Speaker: Anyieth D’Awol, Founder the Roots Project. Roots of South Sudan is a 501c3 founded in 2011 to empower South Sudanese women and youth through the preservation of traditional Sudanese arts & crafts. Roots of South Sudan raises funds and facilitates grant applications on behalf of The Roots Project, a Sudanese NGO founded by Anyieth D’Awol. The funds are used to support its facility (located in Juba), the project’s craft activities, equipment and learning materials and provide members with job skills, literacy and math training; and a safe environment for mothers and their young children to work and learn. Read the flyer here. Join us for a conversation with Dr. Joy Williamson-Lott from the UW College of Education. Dr. Williamson-Lott’s primary research agenda examines the reciprocal relationship between social movements–particularly those of the middle twentieth century–and institutions of higher education. She will discuss her research and the current state of social movements across the country with an eye towards how they impact students on campuses like the UW. Hosted by the UW Law Diversity Committee. Join the Peggy Browning Fund in hosting a panel, discussion, and reception discussing the rights and needs of workers. Learn about the Peggy Browning Fund’s paid Summer Fellowships ($6,000 & up); network with Labor and Employment Lawyers; free refreshments. Read the flyer here. 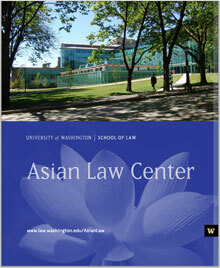 Interested in human rights work, immigration law, or serving asylum-seekers in the Seattle area? App Help is a student-run project that partners with the Northwest Immigrant Rights Project (NWIRP) to serve asylum-seekers who lack legal representation. Most of the people App Help assists are detained in the Northwest Detention Center in Tacoma. We help asylum-seekers fill out their applications for asylum, write declarations about their experiences of persecution, and compile evidence packets in support of their claims. App Help is an excellent opportunity to work directly with clients and gain on-the-ground human rights experience. Interested? Attend the App Help training. Food provided! Millions of Americans—a disproportionate number of whom are people of color—have criminal records that can be a barrier to housing. Earlier this year, the U.S. Department of Housing and Urban Development issued groundbreaking guidance stating that admission denials, evictions, and other adverse housing decisions based on a person’s criminal record may constitute racial discrimination under the Fair Housing Act. Join the Shriver Center and officials from the U.S. Department of Housing and Urban Development (HUD) for a webinar on October 26th to learn answers to pressing questions. The webinar will feature an overview of the guidance, an interview with a HUD official, and a live Q&A session including questions from attendees. The Housing Authority of New Orleans will also discuss its innovative criminal background check policy and how the policy’s focus on individualized assessments will help to improve public safety. Read more here. The Immigrant Families Advocacy Project is a partnership between Northwest Immigrant Rights Project and UW. Clients are survivors of qualifying crimes who’ve been helpful to police or prosecutors and are eligible for U-Visas. The CLE topics covered include: basic structure of the immigration system; working with immigrant survivors of domestic violence; introduction to U-Visa petitions and adjustment of status; confidentiality and ethics; supervising law students. Email theifap@uw.edu if you’re interested in attending and to learn more. Celebrate Pro Bono with Columbia Legal Services and Celebrate NJP’s 20th Anniversary! 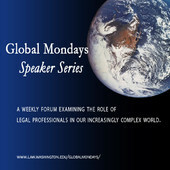 The “Global Mondays” Speaker Series is a collaborative effort of the University of Washington School of Law and the Henry M. Jackson School of International Studies, dedicated to increasing awareness and exchange of information related to global issues. For a detailed event description, click here. in Washington. This event is free to attend. 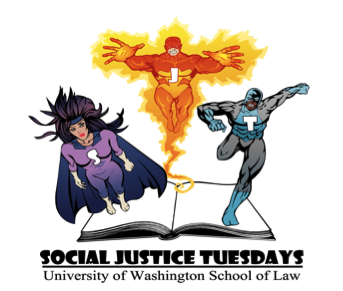 The Northwest Justice Project is Celebrating Twenty Years of Working for Equal Justice! NJP’s Board of Directors and Staff cordially invite our friends and colleagues to join us on Friday, October 23 from 5:30 to 7:30 P.M. as we kick off NJP’s 20th Anniversary year. Chief Justice Barbara Madsen will reflect on Washington’s equal justice journey and celebrate our Access to Justice community, and the many equal justice champions, whose support and dedication helped Northwest Justice Project blossom into a vibrant state-wide law firm that promotes the long-term well-being of low-income individuals, families, and communities. Light Hors d’oeuvres, and hosted reception provided by NJP. The conviction of innocent individuals is among the issues getting increased attention as our nation looks more closely at our criminal justice system. While there are a number of ways individuals can be wrongly convicted, successfully reversing a conviction is incredibly difficult. This is an area where competent legal representation can make a big difference and where there are myriad opportunities for lawyers interested in providing pro bono legal services. Many of the recent DNA and non-DNA exonerations have occurred as a result of work from innocence organizations in collaboration with pro bono partners.